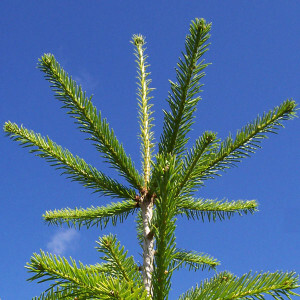 The Nordmann fir (Abies Nordmanniana) naturally occurs in the mountaneous regions at the eastern end of the Black Sea. Danish farmers decided to establish Nordmann plantations in Denmark, where the growth conditions are exceptionally good; frequent rainfalls, rich, not too sandy soil and the vicinity of the open sea make Denmark a perfect habitat for Nordmann. Similar conditions can be found also on the Polish coast, where we set up the first Polish plantation of Nordmann in 1994. Growing trees of the highest quality involves careful tending during the whole growth cycle – from planting to felling. However, even the greatest care does not guarantee that all trees are flawless. Therefore, Danish plantators have created universal quality classification, differentiating between the trees of prime and second class quality.